So, can we create a list of names based on co-location? 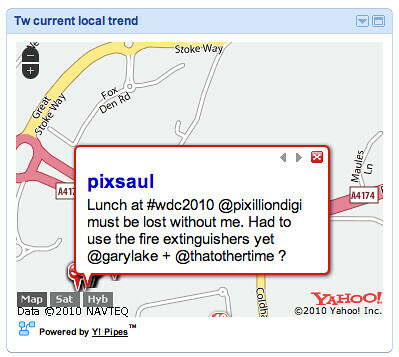 Yep – easy: Twitter search offers a “near:” search limit that lets you search in the vicinity of a location. 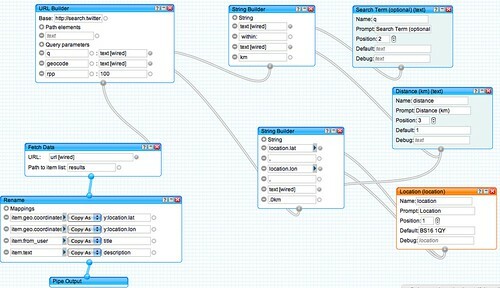 – identify the unique tags, as well as counting the number of times they appeared in the search results. 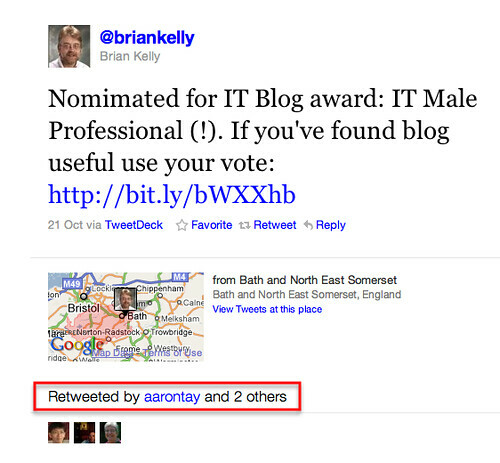 And wondering why the likes @pstainthorp and @martin_hamilton appear to be in Bath? 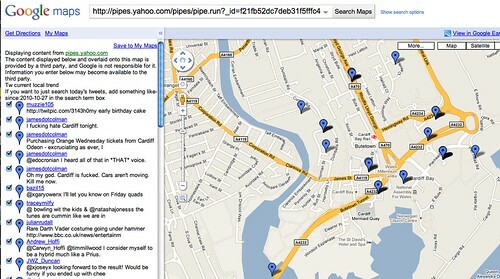 Is the location search broken, picking up stale data, or some other error….? Or is there maybe a UKOLN event on today I wonder..? 2) where there aren’t a lot of current tweets at a location, we can get a profile of that location based on people who passed through it over a period of time? PS if you want to see how folk tweeting around a location are socially connected (i.e. 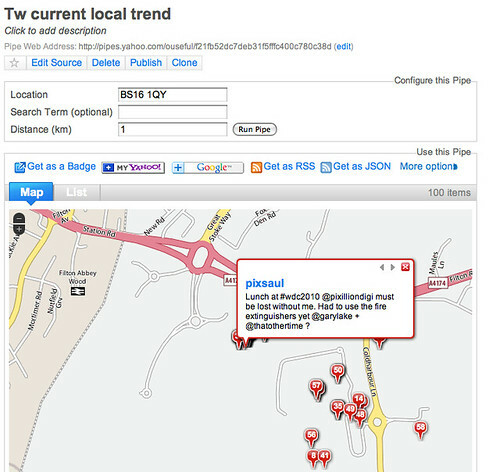 whether they follow each other), check out A Bit of NewsJam MoJo – SocialGeo Twitter Map). 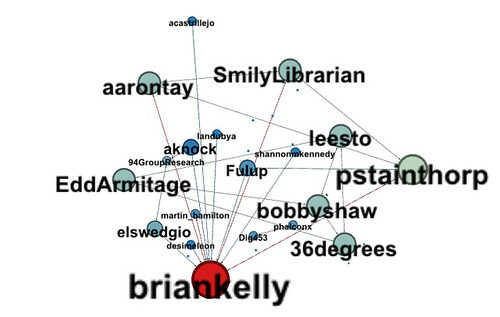 Next Next post: Could Librarians Be Influential Friends? And Who Owns Your Search Persona?